GLOCK has a new model, the G30S (Slim), originally designed for an elite law enforcement unit and a great firearm for concealed carry. The GLOCK Engineers took the slender GLOCK 36 in .45 AUTO and paired it with parts from the big-bore GLOCK 30 SF. The GLOCK 30S has a 10+1 capacity magazine and can also except the GLOCK 21 magazine that holds 13 rounds. After examining the G30S I was not disappointed, it has the external qualities from GLOCK you have grown accustom to; the paradigm-setting polymer receiver, The GLOCK SAFE ACTION fire control system, allowing the shooter to use three independent automatic safeties fast; a super-hard, corrosion-resistant, low-reflective external finish on the slide, barrel and GLOCK night sights; and the GLOCK standard cold-hammer-forged barrel with octagonal rifling for the .45 AUTO cartridge. When I was walking up to the table the G30S appears identical to a GLOCK 30, but when I reached the booth I noticed the G30S slide was actually thinner then the G30’s. When I picked up the GLOCK 30S it fit comfortably in my hand, you can feel the Short frame/Gen4 frame design immediately. Atticus with his larger hands still said it was comfortable in his hands. Over all I really liked the gun and would use it for my own personal carry. With the holidays quickly approaching I know you are starting to think about what to get the women in your life for the holidays. Good news, your search is over! Personally I celebrate Christmas and would love to see any of the items in the article under my tree, so I know the gal shooters in your life will love this stuff. While doing research one night I came across The Well Armed Women, and they have some very beautiful jewelry that any woman, shooter or not, would absolutely love. I know I do! For the shotgun shooter in your life, look into getting her a “Shot Through the Heart” brass or silver heart pendant with a Winchester 28 gauge shotgun shell, gun and heart charm for $49.99! So I am so excited about the next product! Urban Moxy is the first conceal carry purse that doesn’t look like an old lady’s bag! Krista, the designer of the purses, knows firsthand what a lady is looking for in a purse for her firearm. This purse is kid friendly and by that I mean it has a special feature called “The locket pocket”, and a dangle chain for easy grab and go. At the moment it does not fit a full size firearm but don’t worry they are working on offering pocket-size options. The purse I fell In love with was the Nicole, it is $99.99. And that is a great deal for such I beautiful purse. I don’t know about your girl, but I love wearing t-shirts. Off Hand Gear has some of the cutest and comfiest shooting related shirts out there. The shirts are made in America, which I love, by American Apparel. And the cut of the shirts you just can’t beat! They fit amazingly because they are shooting related shirts actually made for women! I personally was getting tired of not having any options other than the men’s shirts at the gun shows! I know I didn’t showcase that much today for gift ideas but between the three sites I gave you I covered jewelry, purses and clothing. You can’t say I didn’t cover the basics for shopping for a girl! 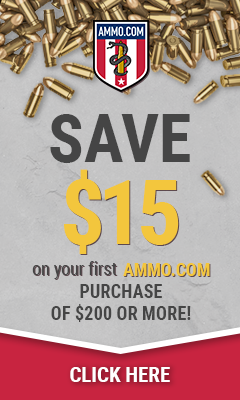 Good luck guys on the shopping, and don’t forget you can get your girl presents anytime of the year and if it’s shooting related… I have to say sir you hit the jackpot on finding a lady that loves shooting, she deserves to get a gift from one of these places. I have worked at a shooting range for a number of years. We get people from all walks of life. Some of the people who come in scare the living daylight out of me, and some are welcoming and sweet. On my lucky days,I would have a cool shooter come in that would actually teach me something new. But, on my “not so lucky days”, I’d have shooters, who would come in with terrible aim, and even worse attitudes. Having these combinations of people come in and out has left me with a lot of good and bad stories. It was mid-July and it has to be at least a hundred degrees. We just got the after lunch rush and I felt like I was melting. I barely got to eat lunch myself. There were at least fifteen people waiting to get on the line and the heat was making everyone a little cranky. Myself and one other range officer were in charge of running three bays. Every lane had at least one shooter and things were getting pretty chaotic. That day had me at the max on my “stress odometer.” On days like this one, I wouldn’t recommend talking smack about any R.O., and definitely not to a regular customer. One of the great things about building a relationship with the regulars that come in is knowing that they’ll have your back. On days like this one, this came in handy. Some rude guy decided to talk crap about me saying that I didn’t know what I was doing, and had no business being a range officer. Normally this wouldn’t bother me, but, due to the heart that was cooking everyone alive, I had no patience with this guy. I didn’t sugar coat any of my impatience when I told him, “I am not going to kick someone off because you think you’re special.” This guy got so mad! As far as I was concerned, it wasn’t my fault that he decided to come shoot at the same time as everyone else. After storming off, one of my regulars informed me that this gentlemen was saying rude things about me behind my back. Yes, I am a girl, but no, that does not make me any less knowledgeable about guns, or less capable to run my line. To teach this guy a lesson, I decided to act exactly like the “ignorant girl” he thought I was. “Silly me” forgot how much AR-15’s throw cartridges, almost right at the person next to them, and when it was finally time to get our new favorite person on the line, guess where I put him. That’s right! I put him at the very end, in the tactical bay. All the brass was attracted to him, it must have been karma. Ironically this guy had a big mouth, and a little gun. Let’s just say once he got on the line, he didn’t shoot for very long. The moral of this story is: Don’t talk crap about your R.O.’s, especially if it’s a female that knows what she is doing. I am packing up my shooting gear for the range today not for myself but so I can head out with my sister to a girls night out shooting event here in Dallas, TX. The Gun Bunny will be out with us and I will be getting pictures and interviews from a few of the shooters tonight. 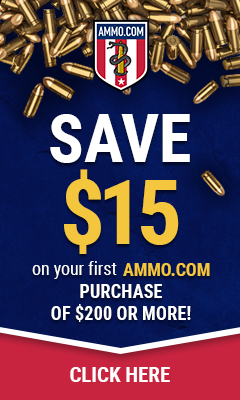 (Ammoland.com)- As a gun reviewer, blogger and all-around avid gun enthusiast, I spend a fairly good amount of time at the range and gun shops for work. While not a new subject, something that has been rapidly increasing the past few years are female gun owners and recreational shooters.